In Syndicate Women, sociologist Chris M. Smith uncovers a unique historical puzzle: women composed a substantial part of Chicago organized crime in the early 1900s, but during Prohibition (1920–1933), when criminal opportunities increased and crime was most profitable, women were largely excluded. During the Prohibition era, the markets for organized crime became less territorial and less specialized, and criminal organizations were restructured to require relationships with crime bosses. These processes began with, and reproduced, gender inequality. The book places organized crime within a gender-based theoretical framework while assessing patterns of relationships that have implications for non-criminal and more general societal issues around gender. 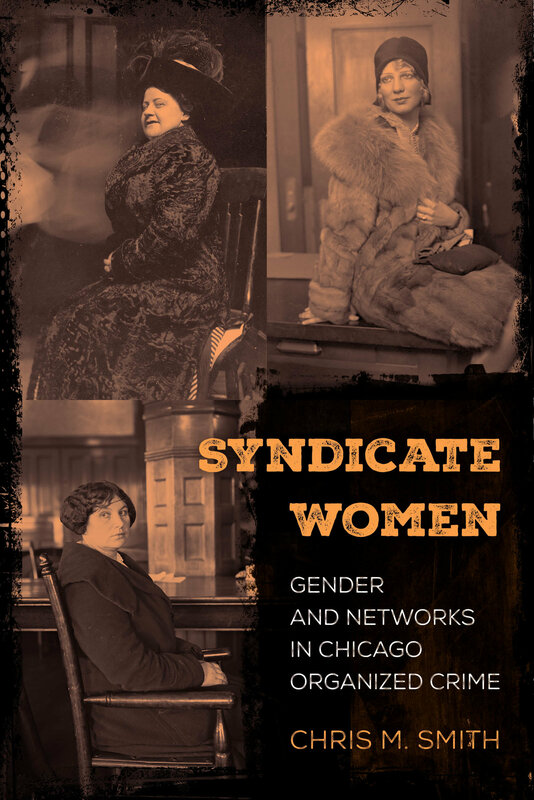 As a work of criminology that draws on both historical methods and contemporary social network analysis, Syndicate Women centers the women who have been erased from analyses of gender and crime and breathes new life into our understanding of the gender gap. Chris M. Smith is Assistant Professor of Sociology at the University of Toronto.